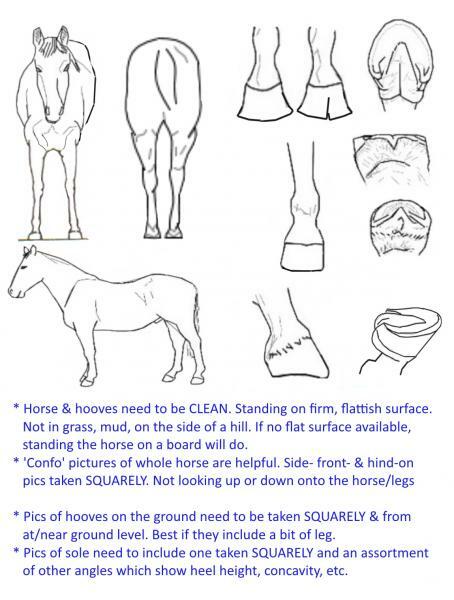 The Horse Forum > Horse Resources > Horses for Sale > Horse buying advice! Regardless of what you MIGHT get for baby, and for mare after she's had some training, if you're doing this just for the sake of an investment, I'd think again. Because it's still a big gamble, as to having healthy, well put together foals, bringing them up without mishaps, as to whether they will be worth much, even if they're purebreds of excellent lineage. Tiny's 'counting chickens before they hatch' definitely applies. If you're doing it because you were looking for a riding horse, and a mare in foal provides you with a 'bonus gift', (definitely considered this myself) I'd still keep looking, because of the pricetag & lack of training in the mare. That's a lot of money for an untrained, unnamed horse, even a clydie, who are worth more than 'average'. You could buy an untrained(or even trained) horse for far less, and if it tickles your fancy, also buy a foal to bring up. And with far less risk(relative) & expense than keeping a foal from birth. But also, you said $8K is a push for you personally, and you will need to invest more money into the pair to bring up foal well, aside from money for a trainer, if you're not capable of training the horses yourself. boots, akihba, Yogiwick and 5 others like this. I've been buying, selling and breeding horses since I was a kid helping on mom & dad's place. I have only 1 time paid 8K or over for a horse and this horse was an obvious champion contender from the day he hit the ground. And you know what? He was worth every dime, we've had a total blast with him. Break even or even make money on a foal? BWAAAAHAAAAAHAAAAA! not hardly. I know nothing about drafts/drums/gypsy horses so won't comment from that point. But $8K for an unbroke mare with probably no show record at all, carrying a foal by an unknown stallion (unknown to me, he might be a superstar in his breed) but bottom line, when it comes to selling foals it's not quite so much what their parents have done, it's what have THEY (the foal) done that drives the sales price. The days of 3X the stud fee the minute the foal hits the ground is over, has been for years. I would totally keep right on walking on this deal. loosie, Yogiwick, Whinnie and 3 others like this. I am probably coming at this from the wrong angle, but as someone who likes to ride, why would I pay $8000 for a horse I can't even ride? Is she potentially rideable? If so, that's more money for training. She might not even make a decent riding horse. Better to buy one already broke for that price. Maybe you always dreamed of a Vanner........sounds like "not" because you are looking to sell the foal. So I guess I just don't see the point? It's not like she's a bargain price or anything. I did buy a pregnant mare once. She cost me all of $500 and was broke to ride. I trail rode her before and after the foal. Then I kept the foal for 8 years and put over $2000 in training in him only to give up on him as a horse I felt safe trail riding. I don't regret it as I still had a wonderful mare for $500 that I did a lot of trail riding on. And raising a foal was a bucket-list type thing for me. But never, ever would I pay $8000 for a horse I couldn't even ride. But that's just me. I'm pretty practical......and cheap! loosie, Rawhide, Slave2Ponies and 4 others like this. I don’t know the value of this cross. I do know there are some gypsy crosses I looked at. They averaged about 3-5k a weaner colt, with a lot of good handling done. I don’t know how much a pure Clydesdale is valued at, but even the best bred broodmare are still broodmares if they haven’t done anything. So, great handling might make your colt worth at the top 5k in my area as they are rare, but it would be hard to get that. Starting the mare leaves you with an older green horse. I guess if you want her that badly and think she’s worth the 8k then that is cool, but I don’t think you can count on the money from the colt. He could get cut up or something like that easily enough. loosie, akihba, Yogiwick and 2 others like this. Talk her down , She knows the horse isnt trained . The mare is 8. Was a pasture ornament with no training. I would be wanting to know why. Then bred by these people who only breed gypsies. That to me says accidental and there's a reason they are unloading her. If that cross is so valuable and they expected a good amount they would not be selling. They'd know where baby could be placed and would place it themselves. Now it could be that is the only way to sell the mare - because someone would come along and buy for that reason only. I am back to what is wrong with the mare. I wouldn't pay that much unless she was trained, conformationally correct, sound of mind and body and stallion complimented her and was outstanding in all ways. loosie, knightrider, Whinnie and 2 others like this. knightrider and Knave like this. loosie, akihba, Yogiwick and 1 others like this. My barn has all the necessary accommodations for a mare and foal. I’m honestly interested in the mare only for a pleasure horse. I E trail riding possibly 4h. As of now if everything with the foal worked out I’d find a interested buyer. The current owner breeds strictly gypsies and the mare was a family horse which turned into a pasture ornament. As for halter experience I’m not sure. I will be driving this Saturday to visit the mare and possibly try to negotiate price. $8 grand is a lot for me to swallow and I’m more familiar with quarter horses. I’ve been told larger horses, drafts, Perch have been going up in price. The current owner said if I wanted, she would have no problem putting me in touch with potential buyers for the foal once he/she was ready to be weaned and then sold. I’m hoping if I bring 5-6 in cash she will take it. I just can’t settle on 8grand for a inbroke mare who’s probably sweet but has no time on her. While I know nothing about breeding or training, I'm going to stick my neck out. My barn has all the necessary accommodations for a mare and foal. Okay, so you have that part down, all the necessary spaces, etc. I’m honestly interested in the mare only for a pleasure horse. She's not had any training that you know of, correct? I can only assume that you have the talent to train a green horse. The current owner breeds strictly gypsies and the mare was a family horse which turned into a pasture ornament. If she's only 8 and a "family" horse, why was she turned into a "pasture ornament"? There has to be a reason, which I'd find out. I just can’t settle on 8grand for a inbroke mare who’s probably sweet but has no time on her. Yes, 8 grand is a lot to spend in this situation. You're assuming she's "sweet", but again, why hasn't the family done anything with her? Assuming you have the facilities, other than just the barn, and the knowledge to train both the mare and foal, do you have the time it'll take to invest in the overall venture? I agree with everyone else, you can't count the foal until he or she hits the ground, so it's gonna be a waiting and hoping game. All the best with what ever you decide. loosie, akihba and Knave like this. While I'm sure she's worth more than $800 to somebody, I personally wouldn't buy an unbroke horse (with or without a foal) for $800. Because I know I can't train it myself and the quality of being a riding horse is unknown. I realize most people probably have more income that I do and maybe can afford to take a gamble. But I personally wouldn't spend even $800 on a horse that wasn't broke to ride. But that's just me. I really wouldn't even factor the foal into the equation because you have no idea if it will even survive birth (and it's a risk for the mare too for that matter). But like I said, I'm cheaper and more cautious than most. I don't mean to be a debbie downer. I just don't see why it would be a good deal to pay a LOT of money for an unbroke broodmare if you weren't even interested in keeping the foal. loosie, Yogiwick, Whinnie and 1 others like this.